Looking for info on paintball compressed air tanks vs CO2? The friendly and knowledgable staff members at Action Packed can answer any questions you may have. Paintball is a sport that people can compete in either individually or in teams. The players eliminate opponents from the game by tagging them with paintballs. The sport of paintball has many benefits for those who play it. Teamwork is one of those benefits. Paintball encourages people to work together and communicate in order to win. Individuals come together in teams to develop plans and devise strategies to achieve a desirable result. Other benefits of playing paintball include the development of problem solving skills and getting exercise. Individual players may miss the team benefits, but problem solving and exercise can be a part of the individual paintball experience. 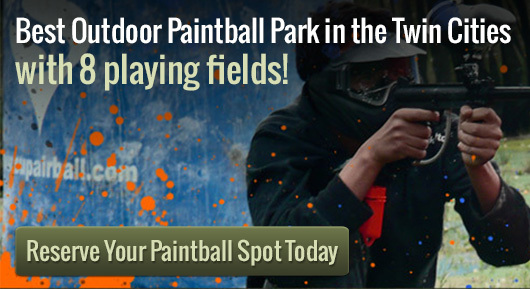 Those interested playing paintball can try calling a paintball location to reserve a spot. Some of the equipment used during paintball games includes masks, gloves, paintball guns and paintballs, among other things. Paintball compressed air tanks are usually made out of steel and make the paintball gun a little heavier than CO2, and paintball compressed air tanks are generally more expensive than CO2. Paintball compressed air tanks also help make paintball guns work more consistently in various weather. The rules of paintball can vary from game to game, but usually the object of the game is to reach a goal without being tagged with a paintball. Often times, the goal is to capture a flag. The rules of paintball can also vary from location to location. Woodsball is paintball that is played in a natural environment. The length of woodsball games may be a little different from games played in artificial surroundings as the size of the playing area can sometimes affect how long it takes players to reach each other. In paintball, overshooting is strongly discouraged. Overshooting is a term used to describe the repeated and unnecessary shooting of a player that has already been eliminated from the game. Masks are expected to be worn at all times when the player is in the playing area. These are just a couple of the safety rules that are used in paintball games all over the world.